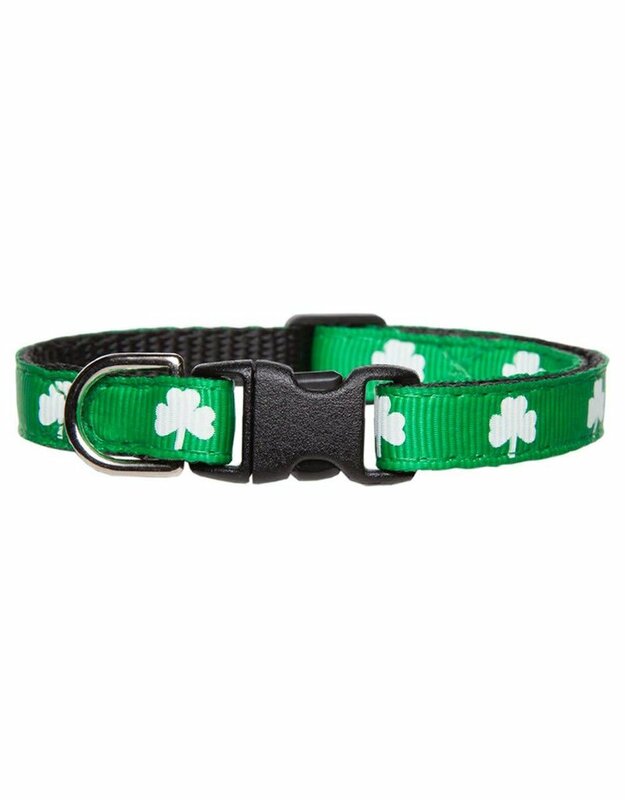 Size: * 7 - 10" 9 - 12"
The Lucky One cat collar features white Shamrocks on kelly green. This festive and fun collar is the perfect look for the kitty love of your life. All of our collars are handcrafted with love in Portland, Oregon. 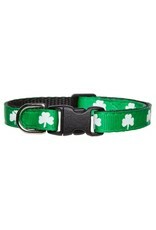 All collars are made of high quality webbing for durability, covered with hand selected ribbon. We use high end D-rings and durable hardware that secures easily into place. We also double stitch stress points; making our collars both sturdy and gorgeous.